Michael Ellison called on a couple of the "old guard" on Saturday, as Antony Hickey and Stuey Wellstead played pivotal roles in a vital win, which kept the Linnets firmly in the EVO-STIK League West Division play-off pack. But Hickey recently followed Wellstead's lead from earlier in the campaign by signing in again at The Millbank on dual registration. With their respective North West Counties League clubs, Bootle and Rylands�inactive at the weekend, Runcorn boss Ellison drafted the pair into his squad. Newcastle's Lyme Valley Parkway Stadium, unusual because of its cycling velodrome-style layout, has brought minimal joy to Linnets supporters on previous visits. We hadn't been there for almost 10 years, but three prior ventures brought about three defeats with no goals scored and 11 conceded! Tom Bailey started in attack and Ronnie McCarthy took up a place in the midfield. Wellstead was recalled to the bench. Runcorn started well, attacking a young Newcastle side at pace and creating a glut of early chances. By the ninth minute,� Kris Holt and Bailey had both tested the goalkeeper with headers. Mitch Bryant cut inside from the left and had a low strike well saved while Louis Corrigan came within a whisker of opening the scoring early on. The left back's sublime free kick beat the wall and the goalkeeper but was kept out by the right post. The vast expanse of the stadium, coupled with the distance of supporters from the play, made it difficult to create a rousing atmosphere and after those early Linnets chances, things�plateaued on and off the pitch. Youngster Declan Gallagher, another who had spent much of his season in NWC football (with Ashton Athletic) after joining Runcorn in the summer, was the replacement. In the 55th minute, the deadlock was broken. Brown again found an excellent cross to the far post. Newcastle's players surrounded the linesman, feeling there had been an infringement but the officials remained unmoved and the goal stood. Man of the Match Mitch Bryant, played in by Kris Holt, beat a man in the penalty area to drill in a low shot at goal with his left foot. The 'keeper did well to save. Having relied on an excellent young goalkeeper to stay in the game, Newcastle found an equaliser with their first real foray into the Runcorn penalty area. This came n the 59th minute, and it was a very untidy goal to concede. A long throw from the right wasn't cleared with the ball working its way to Chris Smith, who looped a header towards goal - beating Scott to his left. Runcorn were almost back in the ascendancy very promptly. Louis Corrigan's cross from the left found Bryant, whose goalbound shot was blocked. The rebound fell to Hickey, but his effort was likewise blocked by a determined Newcastle defence. Freddie Potter replaced Bailey on the hour mark and was quickly in the action, shooting over from outside the penalty area with his first touch. A big chance came Runcorn's way in the 69th minute when Hickey found himself in space at the far post, but sliced a shot wide from a narrow angle. The better option would have been a pass to either Gibson or Holt, who were both unmarked in the six- yard box. Scott was called on to make a big save in the 78th minute, Smith once again proving a handful when he held the ball up to shoot low on the turn from outside the penalty box. In the 85th minute, Louis Corrigan's free kick was powered goalwards by the head of Wellstead, the ball cannoning back off the crossbar before being scrambled clear. Thankfully, the much sought- after goal finally came from the resulting throw-in on the right. 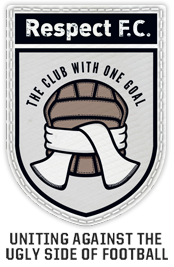 Peter Wylie's throw was flicked on at the near post by Aaron Morris and Potter, with back to goal, instinctively overhead kicked the ball into net to bring ecstasy among the players and large travelling�Runcorn� support. The goal knocked the last bit of wind out of what had been a highly-determined and committed effort by Newcastle to get something out of the game. We managed to see out the final minutes without any incidents of note to earn what was ultimately a deserved and precious three points in the play-off race. Kick off on Saturday is at 3pm. See you all there! Runcorn Linnets: Tom Scott, Louis Corrigan, Aaron Morris, Peter Wylie, Ally Brown, Ronnie McCarthy, Kris Holt, Antony Hickey, Tom Bailey, Ryan Gibson, Mitch Bryant. Subs: Declan Gallagher, Freddie Potter, Stuart Wellstead. Not used: Bobby Evans, Danny O'Brien.